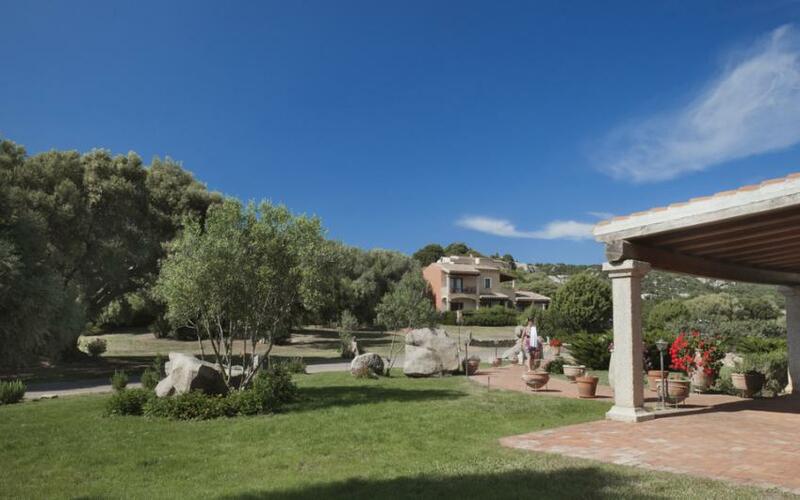 Costa Smeralda begins with the town of Arzachena. In 1964, Prince Ismailita Karim Aga Khan decided to transform the Mediterranean maquis that stretched to the beach into a huge resort. 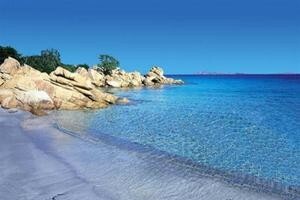 That stretch of coastline (88 km) is today called Costa Smeralda. Arzachena is about 25 kilometers from the port and the airport of Olbia. The coast is a succession of hotels and resorts that enjoy private and public beaches of rare beauty. 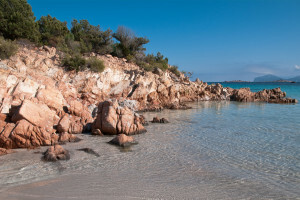 Back then that coastline was called Monti di Mola, and later became Costa Smeralda. 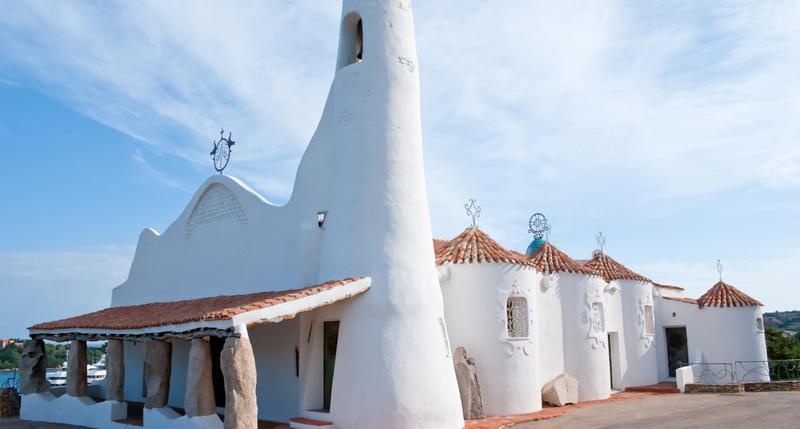 The best hotels derive their names from their beaches, like Romazzino, La Celvia, Capriccioli, Golf, Pantogia, Cala Granu, Cala del Faro and others that remain today a main attraction of the area. Arzachena and the surrounding area preserve traces of the ancient Sardinian and Gallurese culture. The area is famous for its enogastronomy, food festivals and numerous archeological sites, especially its dolmens, Tomb of Giants and Nuraghes. The Capichera wine is also from the Arzachena area, and is probably the most famous Vermentino of the Gallura area, which has numerous vineyards to produce the renowned wine. Arzachena’s top beaches are easily accessible and they are located on breathtaking inlets, shielded coves and beaches suitable for families. You are really spoiled for choice! The hotel derives its name from this beach, made of thin golden sand. The inlet is interspersed with granite rocks that make truly spectacular color contrasts, especially at sunset. An amazing beach with incredible waters, protected by impenetrable vegetation. It can only be reached via small paths that protect this gorgeous beach. 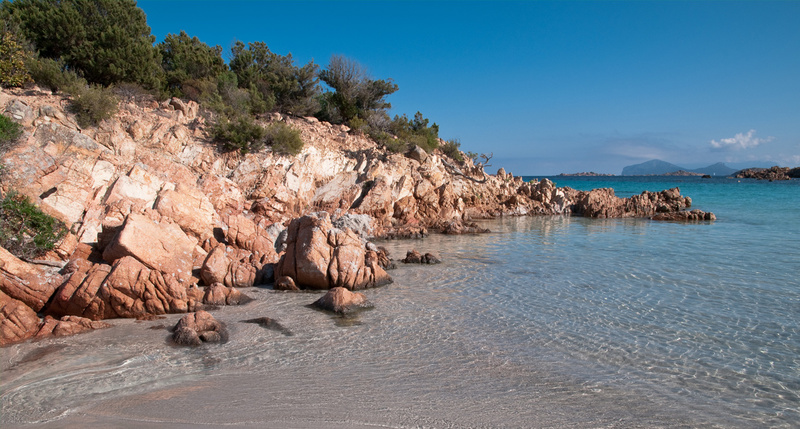 Romazzino is one of the most famous beaches in Costa Smeralda, near Arzachena. Sheltered during windy days, its sand is not too thin but has a medium texture. Emerald colored waters. It has facilities and paid parking. Considered by some the beach of football players, who often spend their holidays in one of the nearby hotels. La Celvia is the perfect beach for those who love gossip. 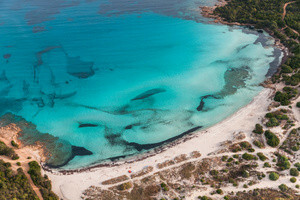 Though Arzachena is an inland locality of the Gallurese area, it is still very much connected to its famous seaside locations, such as Cannigione, Baja Sardinia and Porto Cervo. In order to discover a more remote culture, the Gallurese culture, we suggest trying the delicacies of the Arzachenese and Gallurese cuisine, based on simple dishes, such as the soups “zuppa cuata” or zuppa gallurese with bread.You can try this delicious dish during the religious festivities or food festivals. Visiting the Vermentino vineyards is definitely a must; we point out the Capichera and the Surrau which produce excellent wines in the towns of Capichera and Chilvagghja. During the second week of September Arzachena celebrates the Festa Patronale (Patron Saint’s day), one of the most important events of the Gallura region. It is a must for those who love religious rites, food festivals and traditional dishes. Arzachena is full of ancient settlements and archeological sites, more than any other areas in the Gallura region and in Northern Sardinia. It’s a fully fledged Archeological Park, made of eight monuments, Nuraghes and Tombs of Giants. Visiting the park means delving into the Gallurese culture, exploring the Nuraghes and the Tombs of Giants, stone on top of stone in the barren vegetation of the Gallurese maquis, consisting of holm oaks, junipers, bushes and strawberry trees that fill the air with amazing smells. 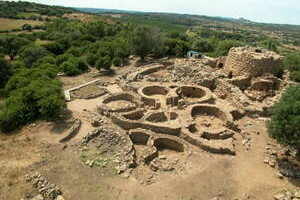 The main attractions are: the Nuraghe and the Village La Prisgiona, in the Capichera locality near Arzachena (OT). Here, a Nuraghe as Tholos tomb with theremains of old shacks show how much the Nuragic civilization actually developed. Other interesting sites are the Tombs of Giants Li Lolghi and Coddu Vecchiu. These are the main attractions of Arzachena: majestic funerary monuments made of huge monolithic rocks placed in a semi-circle in decreasing hight, with a tangled funerary complex. They are magical places, tangible trace of a culture dating back to 2500 b.C. Other monuments are the Nuraghe Albucciu, the Necropolis Li Muri Sta and the Tomb of Giants Moru.